The idea of running your own business can be extremely seductive, but there are many who want to start a business but who don’t know what type of business they can start. They don’t make any products that they can sell, and they don’t have any services that they can sell either. But one thing that anyone can do is to run a bounce house rental business. These types of party rental businesses have become very popular lately because so many people are having themed parties. 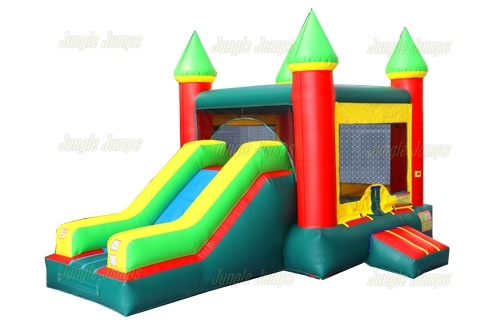 All you have to do in order to begin a bounce house rental business is to visit a moonwalk manufacturer and to purchase some bounce houses or other types of inflatables. Then you just rent them out. But starting a business out of your home can have some challenges. In order to begin a business out of your home you’ll need a few things. The first of which is access to a telephone. Most people live in an area where they can achieve cell phone reception in their home, but that can be fairly spotty. If you live in an area where your cell phone reception is spotty, you may want to think about getting a land line. This way you can relax comfortably knowing that if a call comes in, you won’t miss it. At first you may be able to get away with combining your business and personal phones, but eventually you may want to get a separate business number. The next thing that you need is a computer. Not only do you need a computer to find a moonwalks for sale, but you’ll also need one to help your business thrive. In today’s world if you don’t have a website for your business, you may as well not have it at all. And a computer can not only help you to run your company’s website, but it can also help you to have inexpensive advertising, as you can advertise your services on sites like Craigslist and even though social media sites like Facebook. And finally you’ll need storage space. When you see a moonwalk for sale online it’s hard to realize how large it is. Bring out your measuring tape and actually measure out how big the bounce house or inflatable is when it’s packed, so that way you can set aside enough room in your home to store the product. Why Should You Start a Bounce House Business? The idea of beginning your own business can be extremely intimidating, as you’re going out on your own, you’re the one responsible for everything, and the only person to blame if something goes wrong is yourself. That’s why so many people who think about starting a moonwalk business go no further than the idea of it – they are too nervous about failure to actually attempt to get their business off the ground. Moonwalk companies are one of the easiest types of businesses to start, because you don’t have to create anything, or manufacture anything, you simply have to rent out a product. But in order to make the business thrive, it’s important to learn how to budget. A budget is the key to making sure that your business thrives and that you make a profit. Before you can start renting out moonwalks you need to first know how much money you have to purchase them. Some people have the money available, others take out loans in order to buy their first moonwalk inflatables. Either way you should first know exactly how much money you have available before you begin looking for one to purchase. Once you’ve figured out all of the money that you have available, it’s time to divvy it out. Figure out which inflatable you want to buy and write down the price for that. Then you need to think about advertising also. Advertising should use up only a small portion of your budget, and you should look for the least expensive ways to get your advertising done when you’re starting out, such as using online media sites like Facebook and even Craigslist. But a few ads in your local paper and some fliers put up around town can’t hurt either. Once you’ve deducted these things, you’ll have a better idea of how much it will cost for you to keep up your business. The price for the moonwalks that you purchased is a one-time expense, but you may want to upgrade your business, which will mean that eventually you’ll want to purchase more – something to keep in mind. Once you’ve figured your budget, you can calibrate how much you want to rent out your inflatables for. Make sure you keep the amount low enough to be competitive with anyone else in the area who is renting out party supplies, but high enough to actually get you a profit. As with any industry, as an inflatable business owner it is important that you continuously keep up to date with news and information pertinent to the industry. One way to keep tabs on the industry is through membership organizations that cater to inflatable businesses. There are many benefits for becoming a member of these types of inflatable industry organizations. This will give your company a competitive edge, setting yourself apart from the competition. Membership in an inflatable organization will typically allow you to display the organization’s name and logo on your web site and marketing materials, stating that you are a member. This will give your company more credibility in the industry and portray you as a professional in the inflatable business. Periodic correspondence from the organization. Many membership organizations will send out regular newsletters (either via email or print). This correspondence will contain current industry information, including government regulations, allowing you to keep up to date on the industry in a clear and concise format. Discounts for small business owners. Some membership organizations offer discounts for health insurance, liability insurance and other necessities for small business owners. Frequently these savings will more than subsidize the cost of your membership. Marketing opportunities available. Many inflatable membership organizations also offer special or discounts marketing opportunities for members. Online public listing for your company. By joining an inflatable membership organization your company may have the opportunity to be listed in their online directory. This will increase your online exposure, and even give you prospective customers who may be searching using the site. Involvement with other inflatable owners. Many membership organizations also offer member forums where you can post questions, comments or communicate with other inflatable business owners. This allows you to learn from one another and to share and exchange your own experiences in an appropriate forum. Training Opportunities. Some membership organizations offer special training opportunities for members, as well as certification programs for safety and installation. While inflatable membership organizations are geared to your industry, don’t rule out other membership organizations as well. Your local Chamber of Commerce is a great resource for members. With active marketing, member listings and online listings, the reputation of the Chamber of Commerce will further develop your company’s reputation as a reputable player in the industry. To find your local Chamber of Commerce visit http://www.chamberfind.com/. Good luck selling and remember to take advantage of the many membership benefits offered to you by these organizations. When adults had parties many years ago, the parties often consisted of men standing around grilling meat, women gossiping and putting out side dishes, and children running around the yard playing. Now, however, parties have become so much more. It seems like any party is an excuse to have a themed party, which means that the person throwing the party needs to have more than just meat to grill and food to eat. 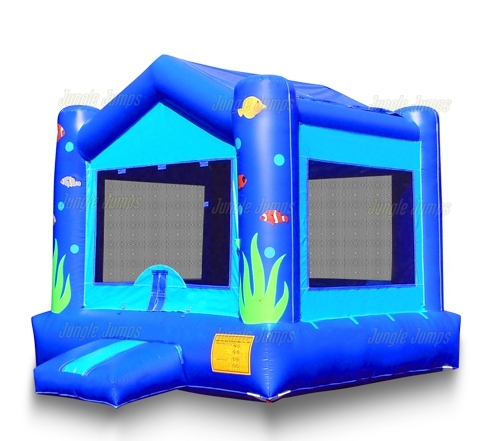 This means that they need to have access to the things that will truly make the themed event feel real, such as a bounce house. You’d be amazed at the type of people who purchase a bounce house for their parties. 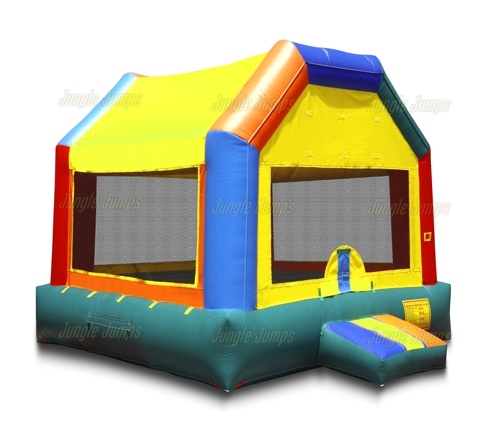 Not only do parents who have children having a birthday party rent bounce houses, but many companies also rent bounce houses so that they can give the children of their employees somewhere safe to play. 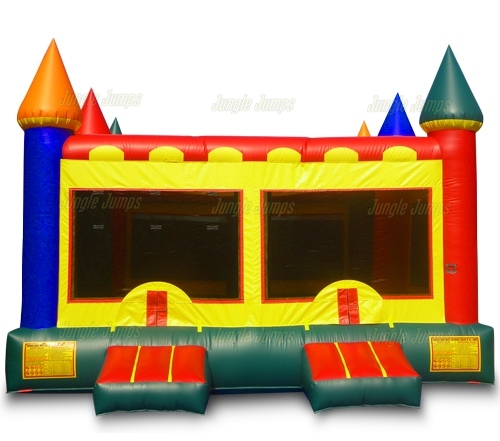 Because of the high demand in bounce house rentals, it has become extremely lucrative to start a party rental business out of your home. When you’re talking about starting a party rental business in today’s economy, you’re really talking about starting a business that rents inflatable’s like jumpers and, of course, the always fun bounce house. There are many different types of inflatable’s that you can rent out, and before you head online to a moonwalk sales business website, it’s a good idea to figure out who your target audience is going to be. If your target audience is going to be families and young children, for instance, you’ll want to buy a bounce house or some other form of jumper. If you have a number of businesses in the area, however, then you may want to cater to their needs by buying something like an inflatable obstacle course, which are very popular today and are being used in many corporate training events. One of the best things about a party rental business is that’s it’s a very simple business to start. In just a few short weeks you can have your business up and running and you can start renting your bounce house or other inflatable. And then, as the business grows, you can go to a moonwalk sales business to purchase other types of inflatables, allowing your business to grow and you rincome to grow right along with it. Looking for a cost effective marketing tool for 2011? Postcards are the most inexpensive pieces of direct mail that a company can send out. The postage at 28 center per piece, which is the bulk of the expense, is significantly lower than that of sending a first class letter. Postcards are also a nice marketing piece because they require no effort from the recipient. There is no envelope to open. It is as simple as flipping the postcard over to read the information. This can even be done as it is being tossed in the trash. The first goal of any direct mail piece is to get the information read by the recipient. A good way to save money on your postcard, without losing quality, is to have them printed in black only or black and one color. Four color printing can be quite costly and is best left for flashy brochures. Postcards should be simple and information based. When designing your postcard keep things concise and easy to read. Bullets are a great way to convey the information quickly and efficiently for the reader. Be sure to include a call to action; “call for pricing”, “contact us for specials” and include your website, email and / or contact information. It is also often effective to include a coupon or offer for customers. This can be a discount on your services, or additional add-on products “thrown in”. Simply include a “Mention this postcard for…” This will also help you to track the effectiveness of the piece. One of the things you need to think about when sending out postcards for your party event and rental business is targeting certain events and markets based on the time of year. For example, graduation parties should be targeted in March or April when the final details of planning are underway, focus on holiday parties for the end of the year, and so on. Obviously the more mail items that you send out the more booked business you will see. You can send postcards to your own customer database, targeting the time of year they initially used your services in an effort to gain some repeat business. You can also consider harvesting a list. Simply select a geographic area you are targeting and harvest names and addresses using a phone book or the internet. This can be a time consuming project but can often be well-worth it once you have an established prospect list. http://www.whitepages.com/ also often includes some demographics about the individuals. For a more scientifically targeted (and larger) list you may want to consider purchasing or renting a list. You can specify demographics and geographic information for the list. There are dozens of companies that specialize in this information. While the cost may be somewhat prohibitive, the ability to specifically target will significantly improve the return on your investment.